Massapequa, New York, USA. August 5, 2018. 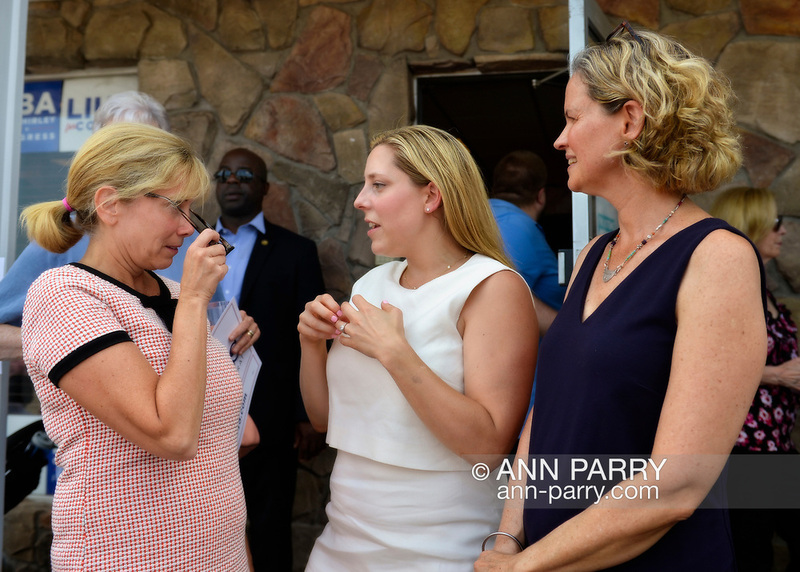 L-R, Democrats LAURA GILLEN, Hempstead Town Supervisor; LIUBA GRECHEN SHIRLEY, Congressional candidate for NY 2nd District; and LAURA CURRAN, Nasssau County Executive, pose at opening of campaign office, aiming for a Democratic Blue Wave in November midterm elections.